Dilemma of the 3Ds (Dementia, Depression, and Diabetes) with Natalie Rasgon, MD, PhD. Name: Dilemma of the 3Ds (Dementia, Depression, and Diabetes) with Natalie Rasgon, MD, PhD. Dilemma of the 3Ds (Dementia, Depression, and Diabetes) with Natalie Rasgon, MD, PhD. Natalie Rasgon, MD, PhD is a Professor in the departments of Psychiatry and Behavioral Sciences at Stanford University School of Medicine. Insulin resistance (IR) is known to change with age, affect cognition in older and elderly adults as well as in patients with affective disorders. While causes of IR have not been fully established, there are several well-established risk factors, including obesity, poor diet, physical inactivity, advancing age and genetic predisposition. The 3Ds of IR (dementia, depression, and diabetes) represent interconnected avenues of investigation into insulin resistance, and can provide opportunities to transform windows of vulnerability to mental and physical disorders into windows of neuroscientific advancement with diagnostic and therapeutic implications. Dr. Natalie Rasgon is a Professor in the departments of Psychiatry and Behavioral Sciences at Stanford University School of Medicine. She began her distinguished career at Odessa Medical Institute and UCLA School of Medicine, and in 2002, she established the Center for Neuroscience in Women’s Health at Stanford University. Dr. Rasgon, who is considered a renowned expert in neuroendocrinology and women’s mental health, is the author of more than 165 peer-reviewed publications, 25 book chapters, and is a reviewer for 30 professional journals. 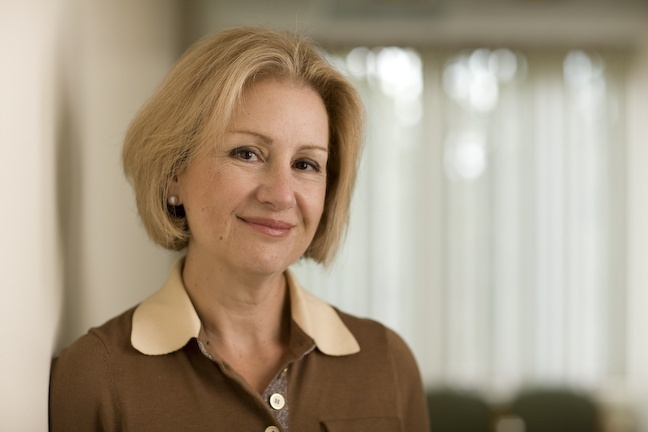 Her predominant research focus has been on neuroendocrine correlates in various models of affective and cognitive neuroscience, the treatment of bipolar disorder in women, the use of hormonal interventions during menopause and the effects on mood and cognitive function, and the interplay between endocrine function and aging. In 2016, she co-founded the Psychopathology and Allostatic load across the Life Span (PALS), which is an international network of academic centers which focuses on the interplay between depression, diabetes, and dementia. This presentation will be available on SBC’s YouTube channel at a later date. Check out some of our past Café Sci presenters on our YouTube page here: youtube.com/user/stanfordbloodcenter. Please note that the views and opinions presented at Café Scientifique do not necessarily reflect those of Stanford Blood Center. Questions? Please contact Ross Coyle at rcoyle@stanford.edu or 650-725-3804. 6:00 p.m. — 7:00 p.m.